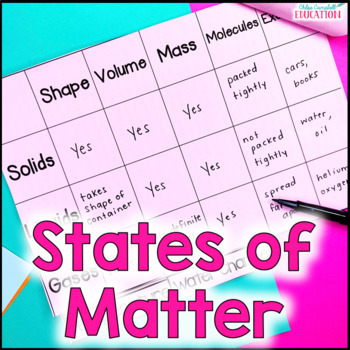 States of Matter Informational Text: Solids, Liquids, Gases Booklet is perfect for learning about solids, liquids, and gases during your science or reading class. 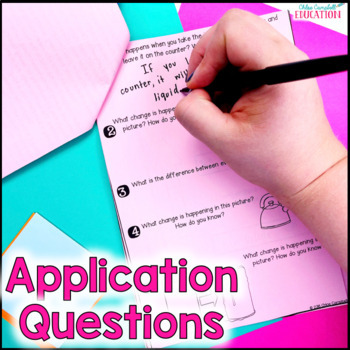 It includes two states of matter articles, a graphic organizer, questions, and two interactive activities. 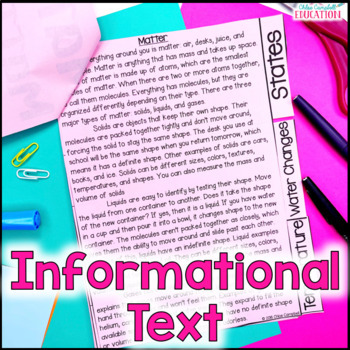 Engagement will surely increase while your students read these informational articles and complete the flip book. 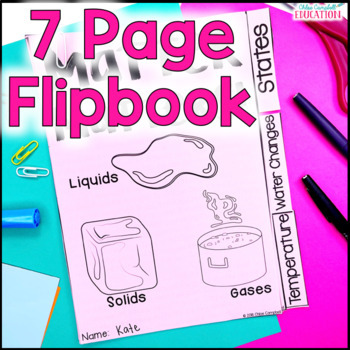 Print, staple, and have the kiddos cut to create this flip book!